I love Target! This gift card would help with my classroom. Love your give always and already like you on FaceBook. I love this site, its my favorite coupon site! 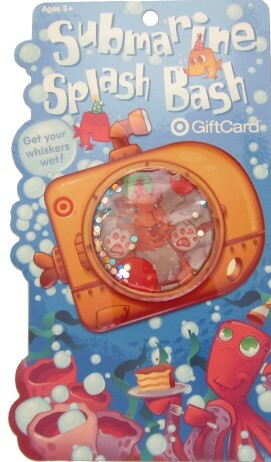 Very cute giftcard too. You have helped me save so much, thanks for all you do! I like you on FB! These are the cutest gift cards. Count me in for the giveaway. THANKS! I would love to win. Love the give-a-ways. I would like to participate. Thanks. Love Target and especially TT!! I did and always will like Totally Target! LOVE your giveaways, would really like to win this. I like tt! Love the site! I follow TT on FB. I spend so much at Target and would totally <3 a gift card! I already like (and LOVE) your FB page. I follow Totally Target on FB ! Thanks so much for your info/updates!